The Department of Homeland Security defines an active shooter as “an individual actively engaged in killing or attempting to kill people in a confined and populated area; in most cases, active shooters use firearm(s) and there is no pattern or method to their selection of victims. Active shooter situations are unpredictable and evolve quickly. Typically, the immediate deployment of law enforcement is required to stop the shooting and mitigate harm to victims." 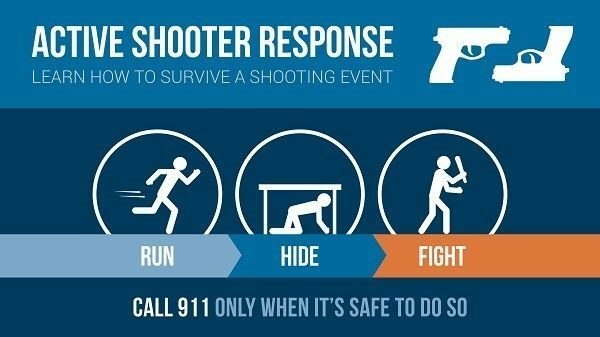 Since active shooter situations are often over within 10 to 15 minutes, well before law enforcement arrives on the scene, individuals must be prepared both mentally and physically to deal with an active shooter situation. The Department of Homeland Security and other U.S. government agencies have developed online resources to serve as reference material to help educate its citizens. Would you take swimming lesson online? Or play driving video games as a way to learn how to drive? It is safe to say that the answer to both those question is "no". This is why it does not make sense that so many companies think that it is acceptable to provide their clients with online lessons as a means to prepare for one of the most extremely unpredictable and dangerous events most people may face. This is most likely due to: cost. An Active Shooter in the workplace is by far one of the most dangerous and unpredictable events an employer, employee, or customer could face. Employees and customers are likely to follow the lead of managers during an emergency situation. Because of this it is imperative that companies invest in their managers so that they are able to guide others in this difficult situation. 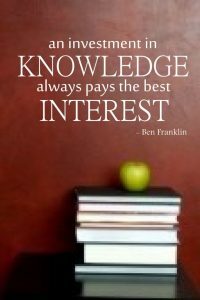 Education has always served as the most power tool to combat the unknown or unfamiliar. Our Active Shooter Response training will help all employees be prepared when the worst occurs. That is why we stress the need to train all employees. Children can face danger not only from those outside their schools, but also from their peers. In an active shooter situation, a child with a weapon can be just as dangerous as an adult. We offer an Active Shooter Response training to help prepare faculty for the emotional stress that they may experience when faced with a child assailant. This training will assist faculty with safe-guarding themselves and the lives of their students. Religious organizations are often the target of aggression. Many religious organizations foster an “all are welcome” philosophy, which can leave them exposed to active shooters. These institutions are faced with a great dilemma: how do we protect ourselves without turning away those that need our help? This is where an Active Shooter training plan combined with a site survey can help protect all those in attendance. Our training plan will prepare religious leaders and their staff to respond to an active shooter and protect the lives of their attendees.